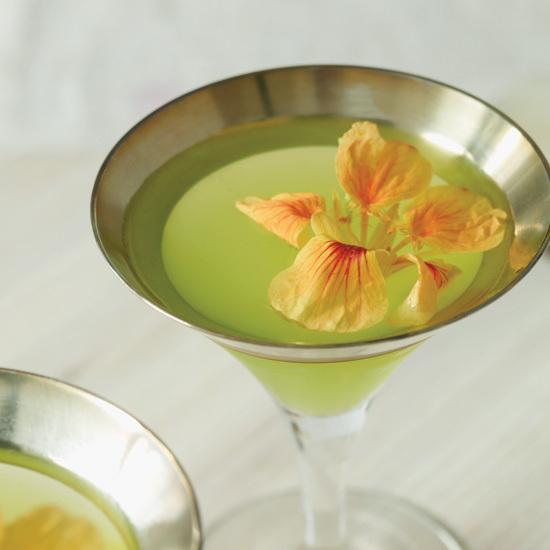 This year, skip the green beer and opt instead for a verdant cocktail made with herbaceous, bracingly bitter and vibrantly colored green Chartreuse. Here, seven great options. Green beer. We’ll never understand it. Yes, it’s festive on St. Patrick’s Day but is it necessary? No, because there are many delicious beverages that don't get their hue from food coloring. This year, opt instead for a verdant cocktail made with herbaceous, bracingly bitter and vibrantly colored green Chartreuse. Here, seven great options. Cilantro adds fresh, herbal flavor to this gin cocktail. This Chartreuse-based cocktail is a fun take on a tiki drink. Chartreuse gives this spritzy Champagne cocktail a pale lime color. This drink gets an extra boost of color from basil and mint leaves. Super simple and refreshing, this extra-dry cocktail is made with gin, fresh lime juice and green Chartreuse. It doesn’t get much easier than this martini made with citrus vodka and green Chartreuse. Green Chartreuse is flamed in a lime cup before being layered on top of this colorful and dramatic cocktail.